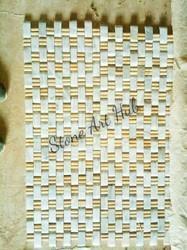 We are a leading Manufacturer & Exporter of Wall Cladding Tiles such as External Wall Cladding, Exterior Wall Cladding, Rockface Wall Cladding Tiles, Decorative Exterior Wall Tiles, Stacking Stone Natural, Natural Stone Stacking and many more items from India. Utilizing the most modern technology and latest machinery, we bring forth the wide array of Interior Wall Cladding. The offered wall claddings are processed from the advance techniques & machines for giving finishing. 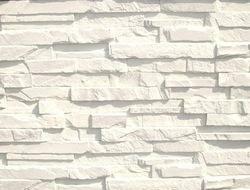 Moreover, customers can avail these wall claddings from us in different colors, and sizes as per their choices. 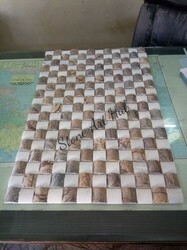 We are giving these wall claddings to our customers at reasonable price. Packaging Details: cartoon packing with plastic wrap if require. These wall claddings are properly tested on different quality parameters before being dealt to our customers assuring its flawlessness at user’s end. White Wall Cladding Tiles is glued with several nature stone strips to be a unique panel. It has a nature cleft surface and offer the durability & antique beauty with easy installation, widely used in interior and exterior decoration. 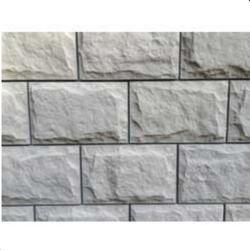 Our organization has successfully expanded its business in the market owing to the offered quality array of Rockface Wall Cladding Tiles. Easily installed on walls of residential areas, these wall cladding tile are processed at our well-equipped manufacturing unit utilizing advance machines for cleaning & finishing in accordance to set market norms. 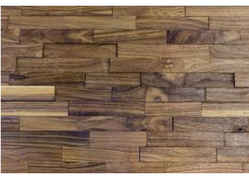 Along with that, this wall cladding tile is perfectly tested on different quality parameters for make certain its flawless finish standard at user’s end. 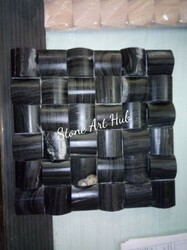 Stone Art Hub offered quality array of Wall Cladding Tiles. Easily installed on walls of residential areas, these wall cladding tile are processed at our well-equipped manufacturing unit utilizing advance machines for cleaning & finishing in accordance to set market norms. Easily installed on walls of residential areas, these wall cladding tile are processed at our well-equipped manufacturing unit utilizing advance machines for cleaning & finishing in accordance to set market norms. We have marked a distinct and dynamic position in the market by providing a high quality array of External Wall Cladding. 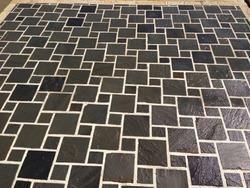 Praised for its exclusive look which enhances the look of place, the offered wall claddings are processed under the direction of trained professionals utilizing ultra-modern techniques in adherence to set quality norms. Along with that, these wall claddings are properly tested on different quality parameters before being dealt to our customers assuring its flawlessness at user’s end.